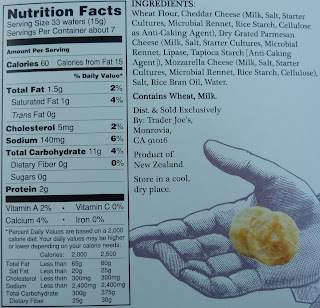 How odd that they don't taste much like cheese... I love that it's 33pcs for 60cal (!) but if they're meh tasting that's a moot point. And yeah, those really do look the communion wafers i remember from my catholic high school! Yes very low in calories. Not a bad taste, but...not much taste, IMO. I'm glad to see that my first instincts about these were correct. I passed trying them today because they seemed a bit communion to me. Former Baptist preacher's daughter (Catholic/Lutheran may be different you guys get wine not grape juice?) 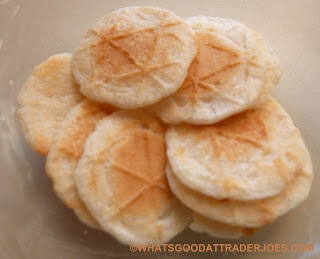 & my mom had to "bake" the communion bread or cheat & buy it. It's always unleavened crackers. Or is technically supposed to be. Something to do with the scriptural communion. 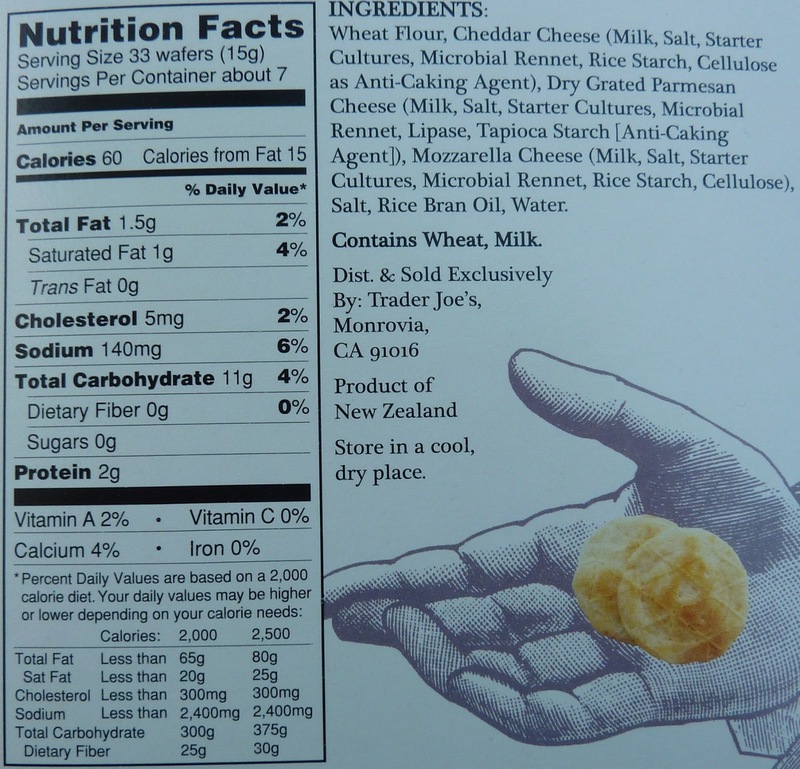 There's homemade recipes for it but some churches use things like Oyster crackers (probably these TJ's crackers) and there's another major brand I'm forgetting the name of. Also some religious stores carry them. Hi Katy. Yes I'm sure Baptists stick with the unleavened bread. All of the unusual communion elements I've had were in non-denominational churches, where they don't stick to the letter of the religion quite as much. Just tossed out the nearly full bag. Like eating paper. Trader Joe's would have given you a full refund. I never understand people throwing out perfectly good food. If you find it THAT distasteful, give it to someone else. Not everyone has the same tastes. The moment I opened the box, I thought 'communion wafers'. 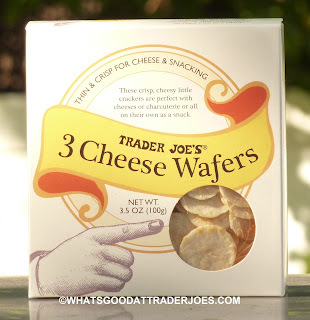 Did a web search for 'cheese-flavored communion wafers' and this site was the third in the results.